Daily meetings start with Skycatch maps. Communication and collaboration is critical on every construction site. From the initial design to the final product, communication between the trades, the supers, and the engineers needs to be constant and easily understood. 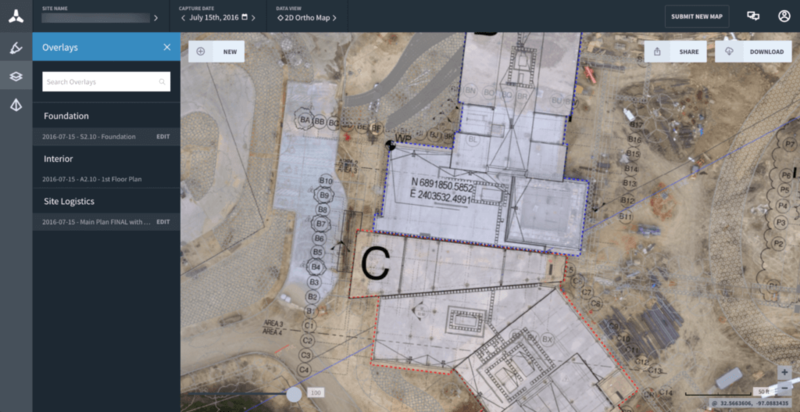 We talked to Grant Hagen, VDC Manager and drone pilot for The Beck Group to get the inside story on how The Beck Group seamlessly integrates Skycatch 2D and 3D data into their existing construction workflows. Now armed with a never-before-seen bird’s eye and 3D model view of the project, drone data has significantly improved how everyone on the project throughout different departments communicate with each other. This enhanced communication enabled Beck to identify issues before they became major problems, resulting in a 25% reduction in rework from change orders and saving 5 hours a week on unnecessary meetings. Beck’s project is an integrated job, meaning they are in charge of the architecture design, as well as being the general contractor for the construction. Read on to find out how they synthesize old-fashioned hard work with drone data and their 3D models to drastically improve jobsite efficiency. Beck made the decision to use drone data from the very beginning of the project, so they needed an easy way to fly the same site again and again. Grant also wanted to fly manually and get great video to show stakeholders. He picked up a DJI Phantom 4 because of its flight time, high resolution camera, and the assurance of obstacle avoidance. The next step was to find a compatible flight app, and immediately found value in the Skycatch flight app. With saved missions pilots never need to go through the hassle of planning the same flight over and over again. This makes it effortless to capture a visual history of your project, flying the exact same area every time. Mission planning on Skycatch flight app. “After processing, I log in to Skycatch and use the 2D map as photo documentation to track progress against the sequencing plan, so we know exactly what was done and where we fell behind, and can immediately update team schedules to make up for any delays or mistakes. The sooner we discover variance from the plan, the easier those variances are to correct. This is why quick turnaround on the drone imagery has made such a large improvement on our project schedule. The Skycatch viewer with the Overlay feature. Sheila overlays her concrete pour sequencing plan on communicate where work needs to be done. “We also used the Overlay feature to overlay the sequencing plan on top of the 2D map. It’s really easy to say, ‘We’re gonna finish grade B and C7 through C9,’ but a lot of the guys don’t really know where that is. So when you’re overlaying it and assigning the actual grid lines to the 2D map, you can measure production very easily, and share the map with our guys that go out into the field. “The way it used to work, you’d have to call the guys in to the office for a meeting, print out the plan and do a lot of pointing and drawing, with lots of room for interpretation and error. That used to take at least a few hours a week. With Skycatch, there’s no hand holding. There’s an exact snapshot of where they are and where they’re supposed to be, so they know exactly what they need to do to hit their schedule, saving us at least a few hours a week just in communicating the work that needs to be done. 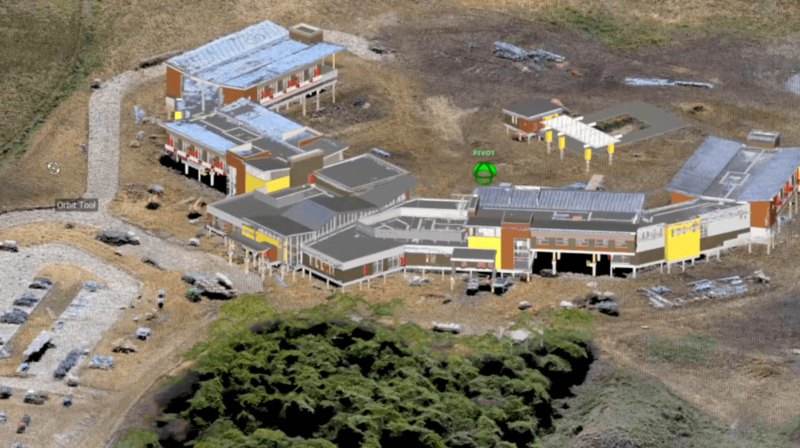 The Site Superintendent, Nathan Hernandez, works closely with Shella and uses the Skycatch-generated 2D maps and 3D point clouds to compare progress with their 2D and 3D site plans. 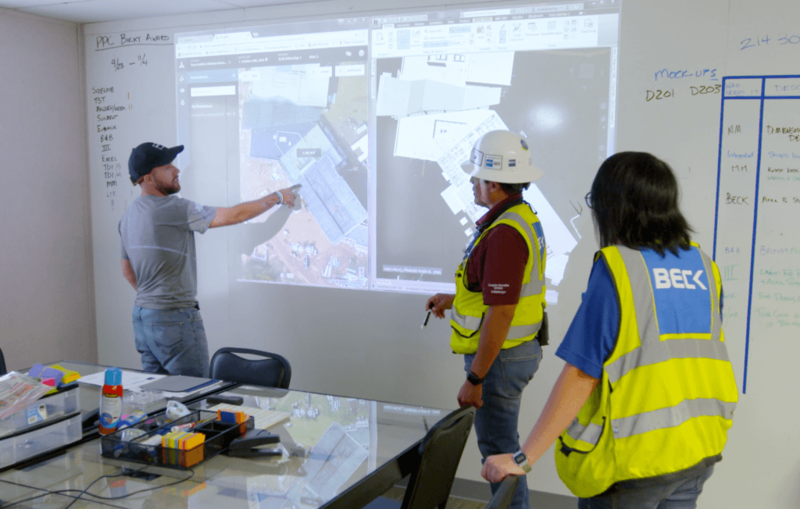 In their daily meetings, they project the Skycatch map onto a whiteboard for the other trades and contractors to easily see and comment on. 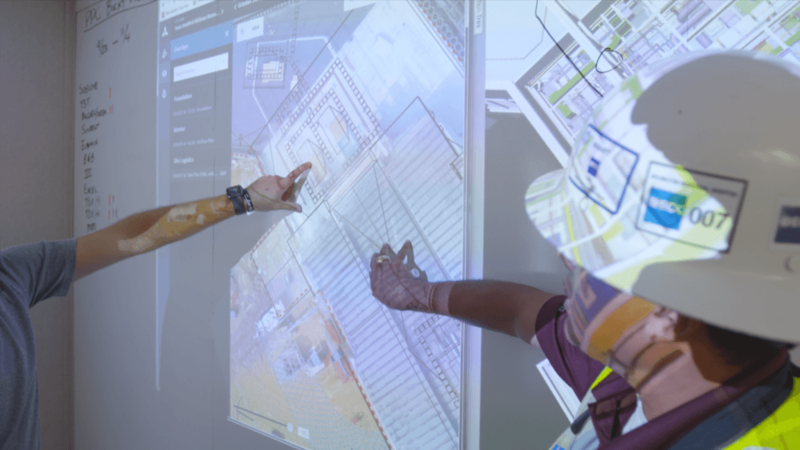 Shella will combine the most recent Skycatch point cloud with the 3D model of the site in Navisworks and hand it off to Nathan, who can make a detailed assessment of the progress and notice if anything is holding construction back. “We had a situation where our drywall contractor noticed in one of our planning models that there were wing walls on top of this one area of our roof. We took a look at the Skycatch capture and saw that we didn’t have any framing out there. We were able to determine that those the wingwalls were supposed to be there, so we went through the RFI process to get the engineering for that to happen. Skycatch generated point cloud, merged with the 3D model in Navisworks. Using Skycatch viewer to communicate issues with the team. At the end of the day, Grant says, it’s about meeting the customer’s goals and building something you’re proud of. Grant puts together the bi-monthly progress reports that go out to the client and managers at Beck to keep everyone up to date. 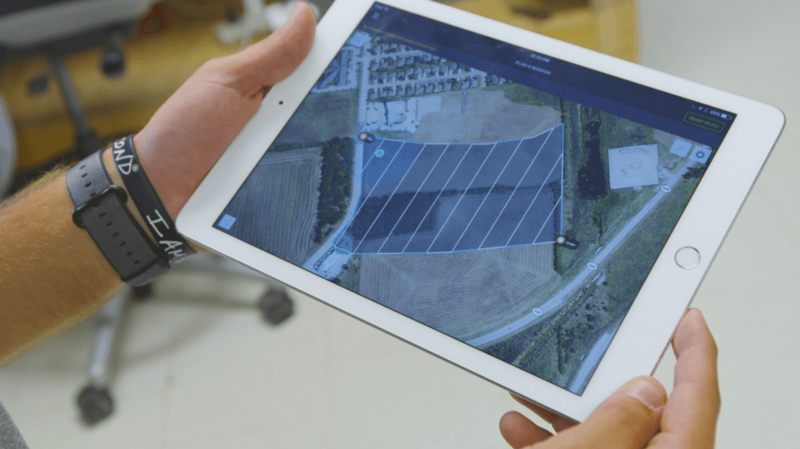 In addition to drone footage Grant shoots with his DJI Phantom 4, he uses the shareable link feature that embeds the 2D and 3D maps into the progress emails, enabling clients and executives to experience the reality of the site directly. Want to overlay your CAD plans on a 3D model of your project? Start your free trial or upgrade to a paid subscription plan starting at just $49. Already using drone data? Have Skycatch share your story! Contact marketing@skycatch.com to get featured next.